Editor’s Note: Updated December 2018. The same is true for the links that connect the pages of your website with the pages of others’ sites. What do those links say about you? Are they reputable? Are they adding value? Hopefully your backlink profile – essentially the nerdy equivalent of your Tinder account – reflects well on you. Does it not? Well, you need to raise your link standards then. Internal = links that connect pages on the same domain. Create a structured hierarchy of pages within your domain, allowing search engines to better understand how pages relate to one another and how they should be crawled/indexed. Enable site visitors to navigate throughout your domain in a logical, predictable manner. Pass link equity (a measurement of authority and rank-worthiness) between pages. External = links that connect pages from different domains. Serve as “third-party votes” for the authority and credibility of the page that is linked to. Provide relevant context and additional information to users who land on one page then navigate to another via a hyperlink. Direct traffic to targeted pages on separate domains, which may be beneficial for affiliate marketing programs, cross-channel campaigns and collaborative marketing efforts. So what, then, is a backlink? Simply an external link pointing back to your domain. You want as many backlinks from credible sources as possible. That’s what link building is all about – establishing a mechanism for finding, generating and attracting backlinks to your domain. Of the numerous types of link-building tactics you can pursue, it’s important to remember that there isn’t a single approach that is a silver bullet; each tactic certainly has standalone value in its own right, but a defined link-building strategy should include multiple tactics being deployed simultaneously. That’s because with each backlink won, a snowball effect occurs. Your Page Authority is likely to rise. Over time, your Domain Authority, too, will likely rise. Search engines will view your site more reputably. 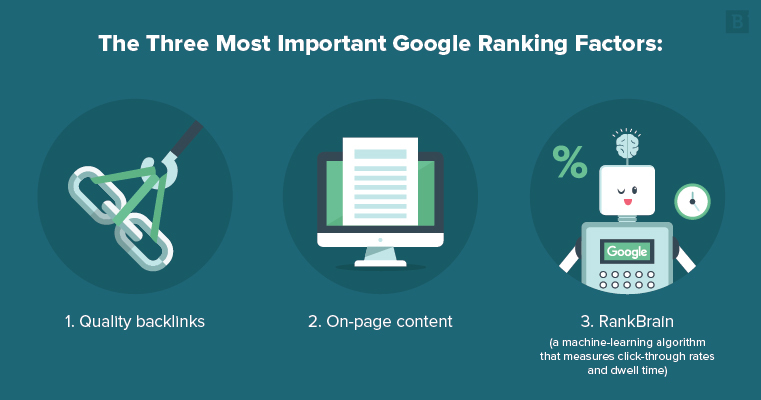 Readers are more apt to find your site because its Authority scores provide a boost to organic ranking capabilities, positioning you higher in SERPs. As your pages prove to be valuable to readers (as evidenced by strong click-through rates and dwell time), Google will continue to push your listings higher in SERPs. So, as you can see, links matter. There are proven correlations between sites that generate a lot of backlinks and their rankings in organic search results. Page Authority = A score of 1-100 that represents how likely it is that a web page will rank well in search. The higher the score the better. Domain Authority = A score of 1-100 that represents how likely it is that your entire website (a collection of all your crawlable pages) will rank well in search. NoFollow links = A link to your site that is tagged with “nofollow” code, meaning search engines do not acknowledge the link and web crawlers do not follow the hyperlink to your domain. You, in essence, receive no credit for the backlink. Follow links = A link to your site that search engines do recognize and your domain receives link equity from. This is the default type of link and no additional coding is required. You want Follow links. Google may be cryptic in reference to how its search algorithms work, but, over the last five years, the search giant has revealed through a series of Google Webmaster blogs, Twitter chats and official company releases that more than 200 ranking factors influence how it orders listings in SERPs. RankBrain (a machine-learning algorithm that measures click-through rates and dwell time). It makes sense. Yes, Google is super smart, both its engineers and its fancy artificial intelligence. But, links are still the easiest, most effective way to truly measure what separates a good page from a bad page. Millions of links from authoritative sites pointing toward an awesome blog post you wrote is a very positive sign that your blog is valuable to readers and that it deserves to be ranked No. 1 in SERPs. On the other hand, if your blogs never receive backlinks, or they receive a few spammy ones, it’s a signal that you’ve got much work to do to prove your value to online readers. Knowing this, link building needs to be a priority for every company – it matters that much. Not links for the sake of having them, but actual, quality links that speak to how well-received your content is and that it is shareable, worthy of additional traffic and has earned its rightful place atop SERPs. Like a devil and an angel resting on your shoulders, there are black and white hat SEO and link-building schemes. I’m sure you can guess which is good and which is bad. Swapping backlinks via guest-posting without adding relevance or value to either domain. Creating multiple blog pages and linking back to a single domain. Backlinking to your domain within comments, footers and widgets. Now, let’s talk about the good stuff, white hat link building. To earn a link, you first need something worthwhile to link to. Large infographics, long instructional videos and in-depth guides are not easy to create, and so most brands don’t produce them. But you can. And if you do, you’re more likely to have something that others will use as a resource and will frequently turn to whenever they have questions in the future. In other words, publish BIG content and promote the hell out of it. That’s how you get backlinks. What else can’t other brands create? Research that’s exclusive to you, of course. We’ve done this several times ourselves, including this post that contains awesome statistics and benchmarks compiled from reviewing 181 websites. Yes, it took a lot of time, but it’s information that no one else on the web had seen before. And that makes it valuable. Even if your content is performing well, you can’t rest. Every day, sites go down, businesses are acquired, management changes hands. That means all those backlinks you may have previously earned are now moot. The URLs of those root domains are now broken, painting a poor picture of your site as one that is rarely updated and likely unhelpful to readers. Using a tool like SEMrush you can quickly get a list of links that were once directing traffic to your site but are no longer in operation (more on that later). Then, you can reach out to those site operators and ask for an updated, correct link or just scrap it altogether in favor of one that may be more relevant to readers. Search engines have experimented with rewarding brands that are frequently mentioned online in a favorable light even if those brands aren’t receiving backlinks. However, it’s a fuzzy process at the moment and doesn’t seem to be in full effect across the web. So even if a publication writes in praise of your company or talks highly of a piece of content you wrote, you don’t earn much tangible value from it unless you also receive a backlink. Use a brand-monitoring tool like Google Alerts to see when and where your company name is popping up online. Email those sources and provide them with a simple hyperlink to use in conjunction with your brand’s mentioned anchor text. This will provide a navigable path for readers to find your domain and signal to search engines that your brand is being commended as link-worthy. You know what really incentivizes someone to backlink to your site? If you include a quote of mine or you talk up a service I provide, I’m probably going to receive a healthy boost of the ego. I’m also going to want to share that article and tell others about it, because, you know, people think I’m great and your article says as much. You can strike up this relationship via social media, likely either Twitter or LinkedIn. Just tweeting at industry influencers and building a rapport can earn their trust fairly quickly. Also, embedding their social posts into your content, directly name-dropping them in your articles and outright requesting their opinions on a hot-button issue can endear you and your brand to relevant influencers. At this stage, you’re much more likely to win a link back to your site. Guest blogging too often can be seen as spammy, especially if you only ever write promotional content and use some of the black-hat techniques we discussed above (i.e., hyperlinks in your bio). But, guest blogging does have significant value if done correctly. By this we mean posting on high-traffic, relevant industry forums where your audience lives. Offer your opinion on the latest industry trends. Bring something to the table that your audience may not know a ton about. Do not talk about yourself the entire time and do not use multiple backlinks to your site. A web of quality links from high-traffic sites is a super effective way to show that your brand has reach beyond its own domain. While link building is mostly a manual, tedious process of asking webmasters to include a link of yours on their site, there are plenty of auto-generated email outreach templates and link audit tools that can speed up the job. But the future of link building may not include links at all. Bing is already using a system that judges websites’ reputations based on brand mentions alone (no links) and assigns value to those domains should those mentions be positive. Google announced in 2017 that it was pursuing a similar model. Algorithms have evolved to the point that cold, hard links aren’t necessarily the sole or best mechanism for measuring value. Social media channels, voice search and digital assistants are all huge players in the publishing world as well, which means the link landscape is much different than it was. So, if I mention your company name when I’m talking to Alexa, shouldn’t that be evidence enough that your brand is making an impact, regardless of whether a link ever changed hands? Well, that’s what’s currently being worked out. There may come a time when, say, a traditional backlink is worth one point and a brand mention is worth half a point, or some similar type of measurement that more fairly factors in circumstances outside of links alone. You better get to work with that link building. Quit reading this and get to work.